Healing House is a rehabilitation center that was originally founded almost two decades ago. 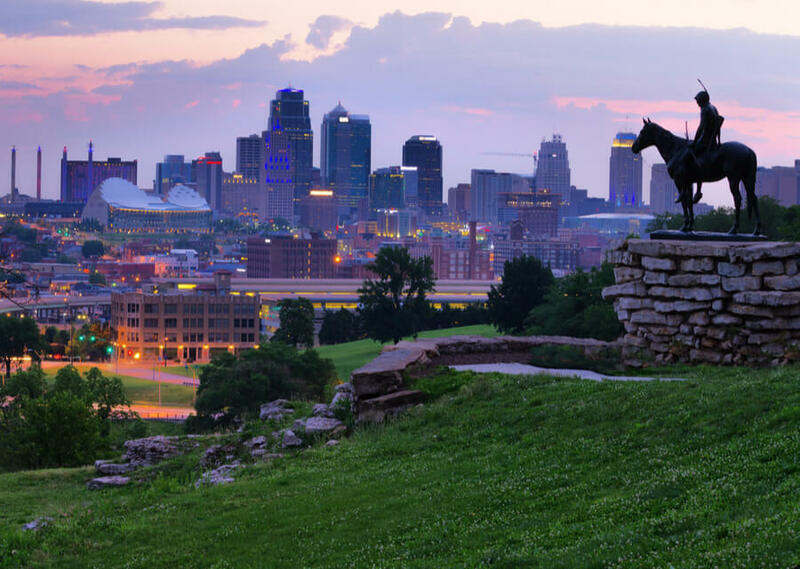 The facility offers addiction recovery services to patients who reside within Kansas City. The facility was founded by Bobbi Jo Reed, someone who has previously gone through recovery herself after her life was taken over by addiction. The idea behind the treatment services offered at Healing House is to approach these disorders through faith-based solutions. The facility has greatly expanded their services and programs offered to patients who come to them for treatment over the years. Today, Healing House is able to offer patients access to sober living programs, inpatient recovery services, and many other programs that have all been developed to promote sobriety among the local community. Healing House currently operates nine different housing facilities in Kansas City, where patients can reside while they are undergoing treatment and as a way to ensure the patient has access to a sober living environment, where they can reside during a transitional phase in their treatment program. The buildings that are operated by the Healing House can facilitate up to 150 patients at a time, with both men and women offered accommodation at these facilities. In addition to providing accommodation for these patients, up to 25 children can also be accommodated at these sober living buildings. This ensures patients can bring their children along to stay with them while they are being treated for their addictions. Some of these buildings are gender-specific, while others welcome families with children. These facilities are all fully furnished to ensure patients can have a comfortable and safe experience during their treatment and throughout the transitional period of their program. Treatment at the Healing House largely depends on what the patient is going through, as each patient is provided consultation with a therapist when they first come to the facility. During the consultation, the therapist will determine how severe the patient’s condition is, and what the company is able to do for the patient in order to ensure they can successfully recover from their addictions, as well as any co-occurring disorders that the patient is suffering from. In addition to these services, Healing House is also able to provide patients access to education programs and employment facilities. One-on-one counseling is provided to all of the patients treated at the Healing House. There are also several support groups and therapy sessions that patients are provided access to as part of the therapeutic solutions that are offered at the Healing House. Patients are expected to pay a monthly fee in order to reside at one of the buildings that are operated by the Healing House, but some patients may qualify for financial assistance. In such cases, the patient might qualify to stay at the Healing House and to undergo treatment without any contributions from their side during the initial phase of treatment. Patients are asked to deposit $100 before they move into a unit, and may be charged up to $460 per month to continue staying at the facility. There are no details about accreditations or licenses that have been provided to the Healing House for the services that they are offering patients who are struggling to overcome substance abuse and mental health disorders. Patients might want to verify the credentials of the facility by contacting them directly. The administrative staff who are employed at the facility will be able to assist patients in understanding whether the center is licensed to provide mental health services in the state of Missouri and whether any National bodies have reviewed the addiction treatment programs that they are offering. Healing House focuses on making treatment as affordable as possible for patients and only charging a minimum rental fee to patients who need to reside at their facilities. Thus, patients should not expect to find any luxury amenities available to them during their stay at the buildings that are owned by the Healing House. There are, however, a few basic amenities, such as laundry rooms and cable TV, that are provided to patients. A daycare facility is also available to parents staying at the facility with their children. Many patients find that they feel much more comfortable being admitted to a program that will help them recover when they know who they will be dealing with at the facility. While many rehabilitation centers tend to share details of their staff members and treatment team, Healing House does not offer any details in terms of the staff that are involved in the treatment services that are presented to the patients who are treated through any of the programs offered at Healing House. The company does, however, provide limited information about some of the board members that are involved in management positions at the company. These members, however, are usually not staff that the patient will deal with during their time at such a rehabilitation unit. Patients who would like to know more about nurses and psychiatrists who are administering services directly to patients should visit the center or get in touch with them for further details.